If The Glossy Life isn't one of your daily reads already, it needs to be, which is exactly why I decided to feature it's creator Alyssa. As a magazine editor by day, Alyssa always has professional quality fashion, food and beauty posts that are not only pretty to look at but fun to read. Her "Love Lessons from the 90s" had me in tears of laughter. 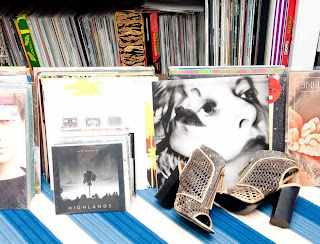 So, what does this Jill of all trades keep in her shoe closet? Think cute comfortable and commutable shoes (she's an NYC gal) - exactly what real world city girls need! Heels or flats? Definitely flats–commuting in the city in heels is a no-go (I’m such a klutz!). I love a good wedge in the summer, though! How many pairs of shoes do you own? Probably around 30, give or take. Favorite shoe in your closet? My Michael Kors Josephine Wedges. They were an investment that I saved up for and bought for my birthday. I wear them constantly! Most expensive shoe in your closet? I don’t really own very many expensive pairs–I run through them so quickly that I usually stick with mid-range styles. I do have a pair of Converse that are so beat up, but I’ll never get rid of them. I love ‘em too much. If you could be a shoe style what would you be? Probably an embellished sandal. Perfect for day or night, and I’d get to live in a warm climate. Sounds pretty good to me. Current shoe crushes? I’m having a major moment with Jenni Kayne’s D’Orsay flats. I’d take a pink pair and a leather pair, please! Favorite brand? Right now, I’m loving Sam Edelman, Steve Madden and Michael Kors. Of course, like any gal I’d love to own a gorgeous, expensive pair of heels. Christian Louboutins, dare I say? Why do you think women gravitate towards shoes? Because shoes always fit! They’re such a fun way to add personality to your outfit, and seeing them lined up on the wood shelves in the department stores–well, it’s hard to say no! Dream shoe wardrobe? I would gladly trade places (and feet) with Olivia Palermo or Lauren Santo Domingo. Those gals have it made in the shoe department! Shoes always fit, they always are pretty much the same size, unlike pants! Ugh, pants are the worst! 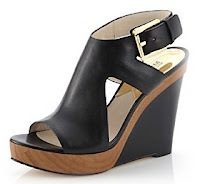 Love these - those MK wedges are ta-die-faaaaa! It is a daily read for me!! I love Alyssa's blog and her, she's amazing! I seriously love this series! I'm also obsessing over the Jenni Kayne d'orsays. Ah! Those black wedges are fantastic and I love Alyssa! I enjoyed your post! 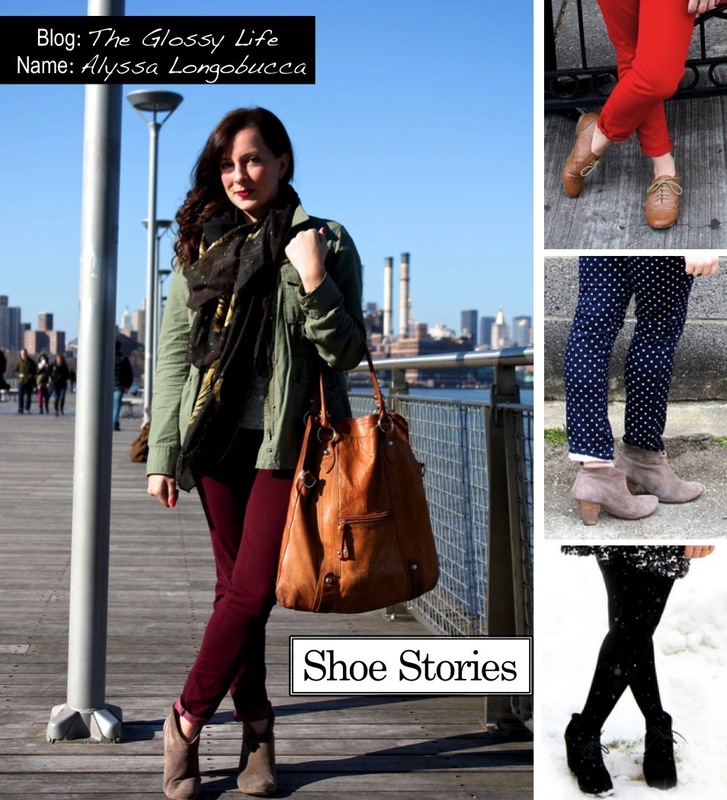 I always love a good shoe story! I'm obsessed with the d'orsay flats! Love those JK flats ! Her blog is one of my daily reads. I love it! Great feature! Great feature! I love Glossy Life!